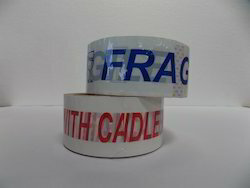 When a package is sealed with custom printed tape, it is easier to detect tampering. Printed BOPP Tapes are coated with acrylic water base. 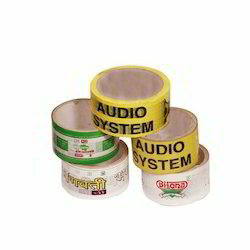 These tapes can be printed with customized logos and pictures as per requirements. With précised understanding of clients’ variegated necessities, we are affianced in presenting a comprehensive BOPP Tapes.